"I was taught by Ray and I think if you want to have fun learning to drive then Approved is the best apart from Ray being a united fan, but no-one is perfect!" "I was thoroughly satisfied with the lessons Approved School of Motoring provided for me. My Instructor Tony give a comprehensive service and always provided step by step instructions. I never felt in the dark about anything and when it came time to take my test I felt I had all the tools I needed to get me through successfully. Highly recommended." "My daughter learned to drive with Approved. I was please that she was comfortable with her Instructor. 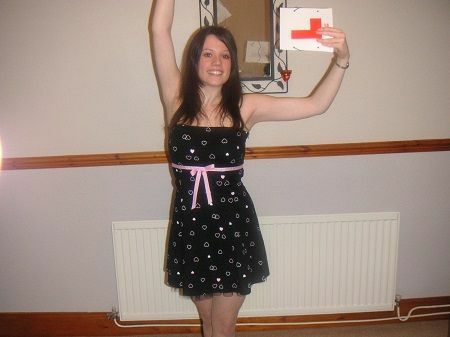 that the price was competitive and her Instructor was excellent, she passed first time. I would recommend the school to others." "Ray is a great Instructor! I couldn't have asked for a more friendly, understanding and patient Instructor ,who made me feel very relaxed whilst learning to drive. The training and support provided by Ray throughout my lessons were first class and Ray is a credit to the industry. I even asked him to sit in with me on my test as I felt that comfortable with him. I passed first time with only 3 minors! 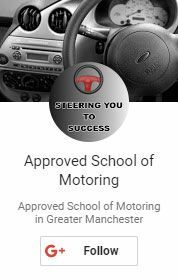 I have already recommended people to the Approved school of motoring and will continue to do so as we are the best drivers on the road, isn't that right Ray!" "The anticipation was great and my nerves even greater, it was time to learn how to drive. With Ray as my driving Instructor nothing phased me, his ever so relaxed and easing manner left a sense of calm and he was always willing to help, nothing was too much for Ray. At times when I made mistakes, Ray was always ready to correct them. Rays driving knowledge is paramount. Ray taught at my pace, there was no pressure and no sense of urgency, driving lessons became a pleasure. Ray has the ability to connect with his pupils and I felt that I had gained a friend as well as a great teacher. The fact that I heard about Rays Approved school of motoring by reputation and word of mouth clearly shows that my thoughts are shared. I passed my test first time and would honestly recommend the approved school of motoring to anybody and everybody." "Although I was a nervous driver and wasn't really looking forward to taking driving lessons, Ray quickly put my mind at ease. He was always willing to help me learn the skills necessary to pass my test and he dedicated a lot of extra time to making sure I was a good driver. He regularly built up my confidence with a good sense of humour and a caring nature and he was willing to listen to what I felt I needed to focus on. He always provided excellent instruction. lessons with Ray definitely became a pleasure and I recommended him to many of my friends who went on to pass successfully, many first time. I'll never forget the mantras he taught me such as `look ahead or end up dead` and` brake too late , and you'll be knocking on heavens gate` I really feel that these epitomise Ray's sense of fun and ability to connect with his pupils. I'd recommend the Approved school of motoring to anyone."